How Long Will The Horizon T101 Last? You wouldn't buy an Accord if you were needing to haul a boat to the lake. In the same sense, if you are a serious exerciser, then you would be wise to avoid lower-end treadmills that will not withstand a great deal of use like the Horizon T101-05. With that said, for the light users out there not interested in spending a ton on a treadmill just to walk on it, this machine is a good choice for the price. The amount of quality is likely to hold up well in an ideal environment with light use. Horizon has continued to improve their T101s and this year, the T101 has won our 2019 Best Buy Award for the $400 to $699 price range. We particularly like Horizon’s warranty and company reputation, the T101 treadmill’s overall quality, and Horizon’s Variable Response Cushioning. First, let’s better understand all that comes with the Horizon T101 treadmill. There are some features that do not matter much when you are looking at a treadmill’s quality and value. In the Horizon T101’s case, the one-touch keys and quick dial, Rapid-charge USB port, and FeatherLight Folding are some of these less important features. The one-touch keys and quick dial are Horizon’s way of saying that the T101 treadmill comes with buttons that control the speed and incline. That is all. The Rapid-charge USB, yeah that just points out the fact that the T101 has a USB port to hook your device up to. Really, Horizon is more than likely advertising the USB port to try and distract from the T101 treadmill’s lack of workout programs. And finally, we come to the FeatherLight Folding. This is a fancy way of saying that the T101 is a folding treadmill. We typically do not like to harp on the folding features all that much because they are usually indicative of cheaper treadmills. While we realize features like the SpaceSaver and FeatherLight are popular, they actually introduce a weakness in the treadmill’s frame. Now, this weakness is usually insignificant, and the frame is usually under a lifetime warranty anyway. But, since the folding does not increase the value of the treadmill and since it is so common, hopefully, you can understand why we usually overlook it entirely. We all have that favorite t-shirt that may have a few holes in it and is nowhere near as nice as a polo or Columbia jacket but is simply a good shirt. The Horizon T101 is very similar in that it is not the best treadmill on the market, but it serves a purpose for the light exercisers and does a darn good job at it. A respectable benefit that accompanies the T101 is the Johnson family name, Horizon’s parent company. Johnson has years of experience in the business and has continually backed their products with good service. Likewise, the T101 is no exception; Horizon has granted a two-year parts and one-year labor and cushioning warranty that shows an added amount of value in this lower end treadmill. We also like the twenty-inch wide belt on this model which is not a standard size in this price bracket. While not the greatest belt width, it is an agreeable feature. The more interesting aspect of the walking belt is Johnson’s patented Variable Response Cushioning. There are treadmill companies out there that give fancy names to features in order to make them out to be more than they are. But the Variable Response Cushioning is actually functional. Part of the reason we like Horizon treadmills is because of their quality design and build. And the Horizon T101 treadmill’s cushioning is a testament to that. You see, Johnson has designed a varying shock absorption system. Basically, towards the front of the treadmill where you land, there is more absorption. In the middle is a little less and in the back is the least amount. So, your foot lands on a softer platform and pushes off on a firmer area. While we are not willing to take the Variable Response Cushioning to the bank, it is likely that this cushioning will slightly better your workout experience which helps the T101 treadmill standout. Still, there are always a few drawbacks that we did stumble upon. While a good treadmill for the price, the T101 does not have the sturdiest build out of this price range. This is always a concern in terms of durability, but Horizon has added a decent warranty which adds some ease. A multi-year Best Buy winner and one of the Top 10 Treadmills in 2017, the Horizon T101-05 has fared well in our review catalog. While we do find this machine a great value for the price, we have consistently warned against serious exercisers purchasing a machine under $1,000. Johnson, Horizon's parent company, has a solid repertoire of machines in the higher price range that would be well suited for heavy use. Still, the T101-05 has been reviewed as a good treadmill with a solid mechanical design and quality parts. We have found the T101-05 to be Horizon’s best effort in the $700 dollar price range. The continued backing from a solid, longstanding company has helped the T101-05 to shine brighter than the other lower end treadmills in this price range. 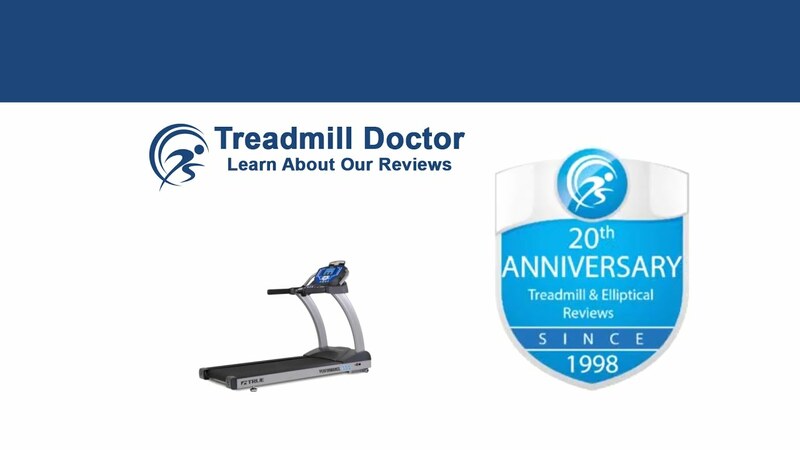 With features that give this treadmill an advantage, we have awarded the Horizon T101-05 the 2019 Best Buy Award for the $400 to $699 price range. If you are a light user looking for a quality buy for an inexpensive price, then the Horizon T101-05 is a good choice.